If you want to join one of the parties at UnderGround or if you did not visit the UnderGround for more than 3 years, it is mandatory to register online before your first visit! Please read this page carefully and enter your data in the lower part of the page. Before sending the form please confirm that you do accept the registration terms and agree to the processing of your data. The fee for a registration that is valid for 30 days (counting starts from the first party visited) is 5 Euros and has to be paid at the cash desk in addition to the entrance fee. After the registration expired, you can renew it anytime at the cash desk at UnderGround. Due to legal obligations it is mandatory to have a valid photo ID with you at the entrance door for every visit! Please bring a valid photo ID with you every time you visit us! The UnderGround is a venue of the “MLC MÜNCHEN” Münchner Löwen Club e.V. All events held there are of sexual and purely private nature. Participation at your own risk. The MLC MÜNCHEN reserves the right to admission and the domestic autority. Women, minors, drunk persons and persons under the influence of drugs will not be given admission. The MLC MÜNCHEN, its board of directors and their representatives are only liable for damage that was caused because of deliberate or through gross negligence of their obligatory supervision. It is mandatory to wear footwear at UnderGround to minimize the risk of injury. The floor can be slippery. The use of cameras (video or photo) and mobile phones is strictly forbidden at UnderGround. Persons in violation of this rule are in risk of getting barred for life. Losing the electronic wristband or the locker key results in paying the MLC MÜNCHEN a reparation fee of € 75.00 per wristband or € 25.00 per key. 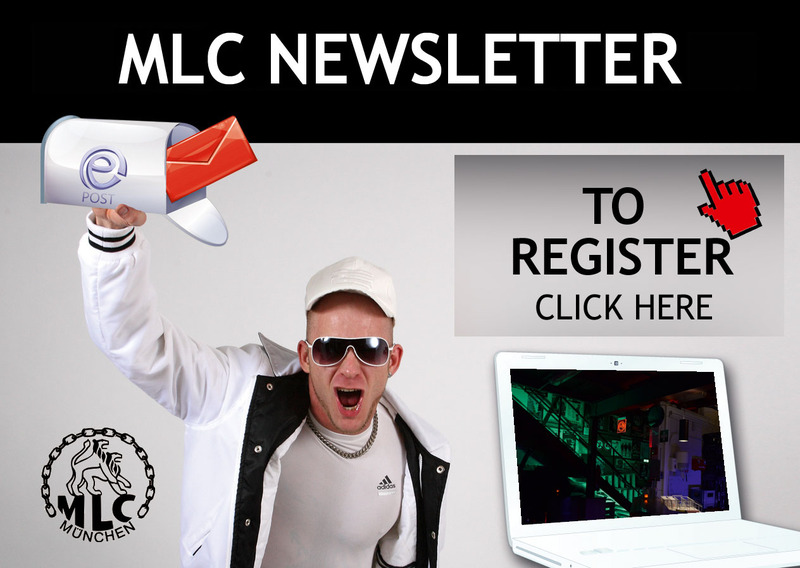 It is mandatory to follow the instructions of the MLC MÜNCHEN’s board of directors or their representatives.